The Safety Leader Podcast introduces the next level in safety. A safety leader takes safety beyond rules compliance to a shared goal that recognizes the importance of each individual on the job. Supervisors and safety people are uniquely positioned to become safety leaders and to bring workplace safety past compliance and across the threshold to where safety becomes personal. The front line is where the culture of an organization is made and reinforced. Past all the processes and procedures are people. Safety starts with people. I commit to you to give you my best ideas, tips and strategies to help make your job as a supervisor or front-line safety person easier and more effective. That's what the Safety Leader Podcast is all about. Why aren’t production and safety working out of the same office yet? Start with the common ground between safety and production. 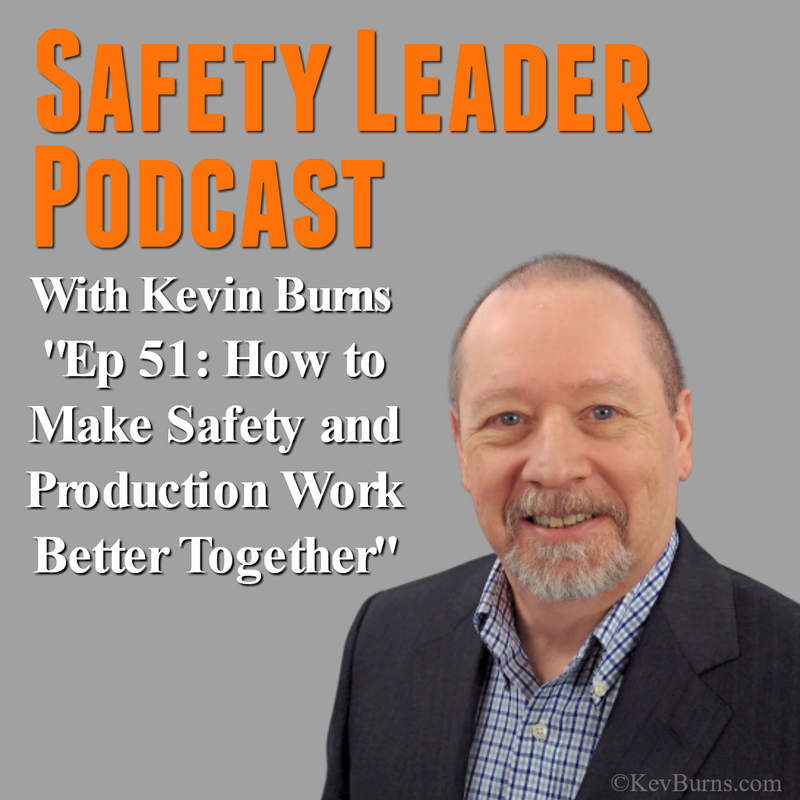 On this Episode 51, how production and safety can work better together. Companies associate the success of the operations department with efficiency, productivity and profits. But, in safety, success is determined by a complex formula ending in TRIF rates and with the prevention of occupational injury and illness. How do you make these two necessary parts of a company work together if they are not even measuring the same things? Here are five ways to marry safety and production. Kevin Burns is a management consultant, safety speaker and author of "PeopleWork: The Human Touch in Workplace Safety." He is an expert in how to engage people in safety and believes that the best place to work is always the safest place to work. Kevin helps organizations integrate caring for and valuing employees through their safety programs. ©© KevBurns.com. All rights reserved.